Found one file extension association related to TaskJuggler and 1 file format developed specifically for use with TaskJuggler. 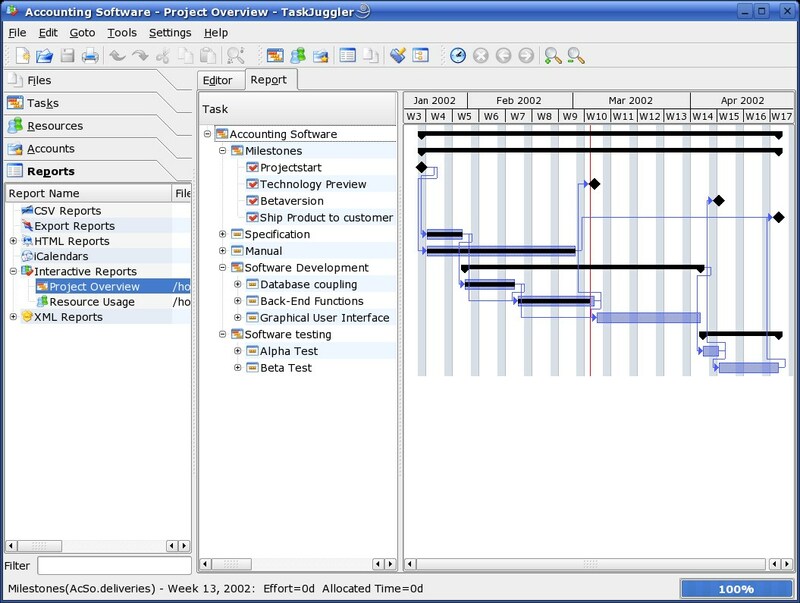 TaskJuggler provides an optimizing scheduler that computes your project time lines and resource assignments based on the project outline and the constraints that you have provided. The built-in resource balancer and consistency checker offload you from having to worry about irrelevant details and ring the alarm if the project gets out of hand. The flexible "as many details as necessary"-approach allows you to still plan your project as you go, making it also ideal for new management strategies such as Extreme Programming and Agile Project Management. If you need more information please contact the developers of TaskJuggler (Chris Schläger and Klaas Freitag), or check out their product website.